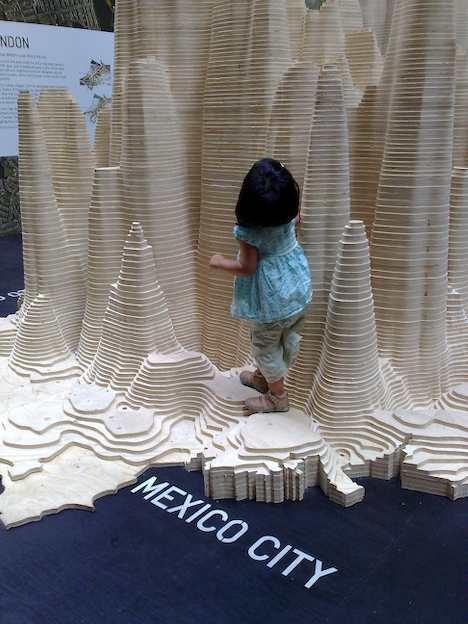 Large-scale physical density models where plywood forms represent the populations of 12 of the world’s major urban centres. Made by a team of designers and architects led by Professor Richard Burdett. Source: Eliza Williams (2007) Global Cities at Tate Modern. Right photo by Stefan Geens. The views expressed on this page are not necessarily the views of the curators and of their respective institutions. This collection is CC-BY-SA. If you reuse or adapt it, please reference this page. See BibTeX for citing.